My son loves these. He is going back to school soon and when he gets there, a box of these sweet treats from home will be waiting. 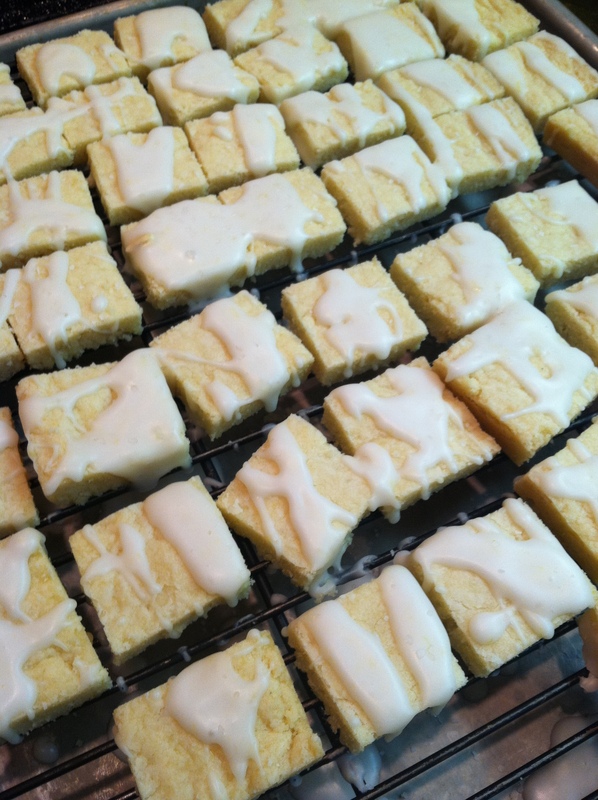 This twist on traditional shortbread adds fresh lemon zest in the mix and fresh lemon juice in the glaze. 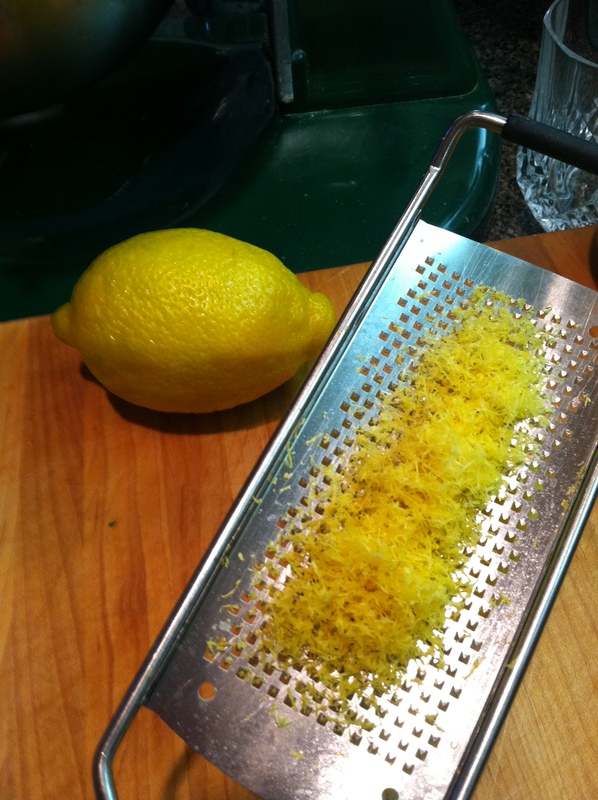 One secret is to use a very fine microplane on the fruit so the zest is very fine. 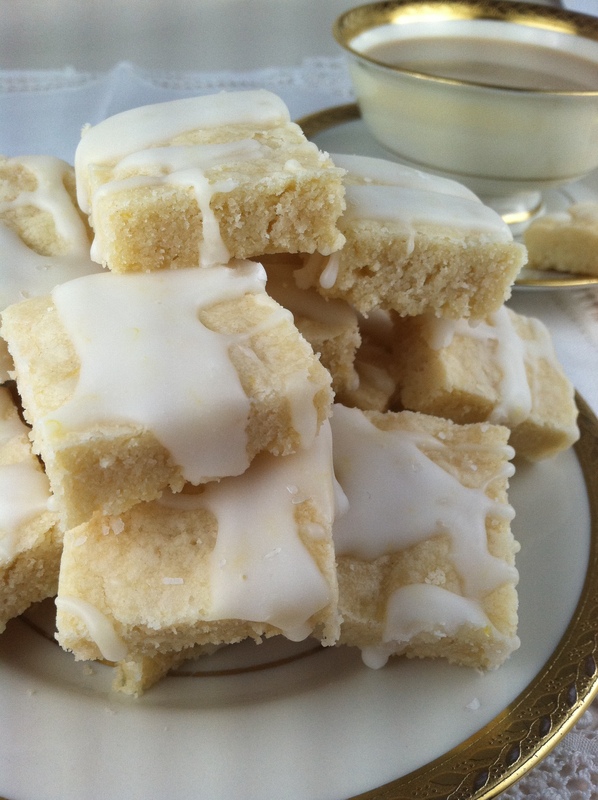 If you like the lemon version, branch out and try making them with orange, or lime or tangerine or grapefruit. Kumquat maybe? 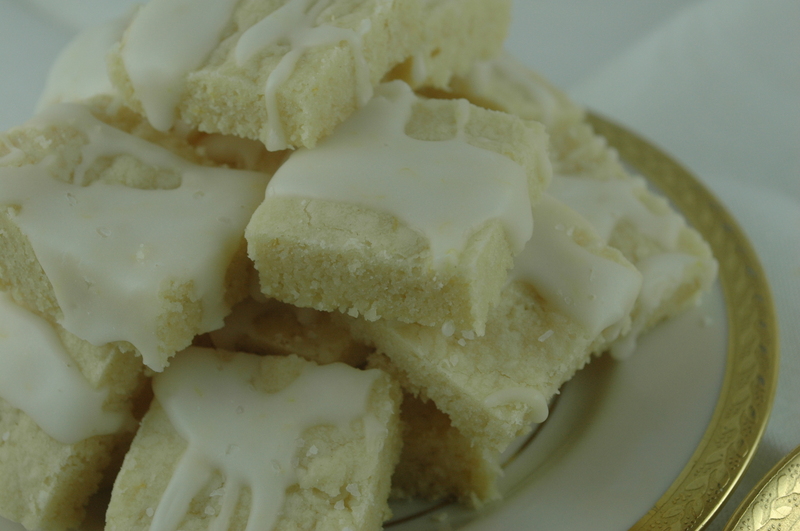 The amazing part of good shortbread is how they just melt in your mouth. Then take a nice sip of tea. Sit back and enjoy. There are several pictures at the end of the post, so scroll down. 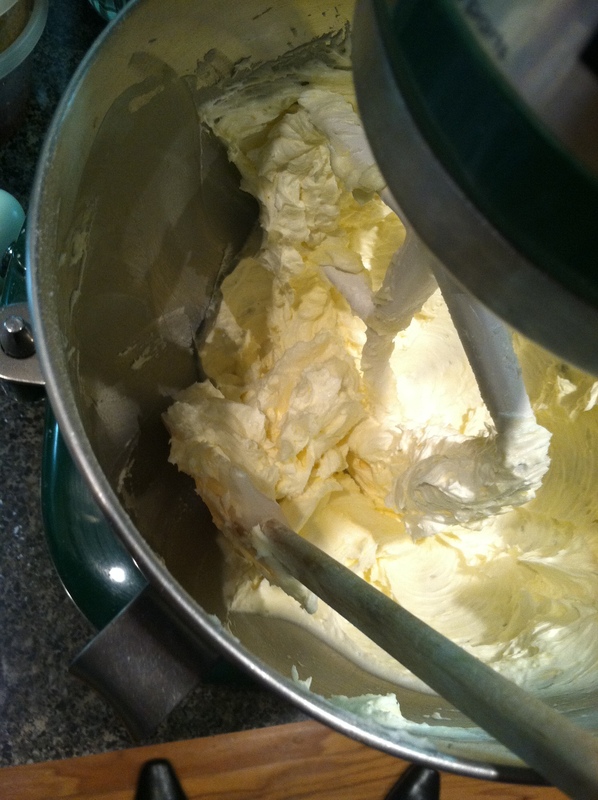 Using a mixer on high-speed, cream butter, 10x sugar, zest and vanilla 3-4 minutes; until light and fluffy. While the butter and sugar are creaming, measure and mix the flour and salt into a bowl. On low-speed, add the flour mixture to the creamed butter and sugar. Mix only until the mixture comes together and resembles crumbs. Do not over mix! 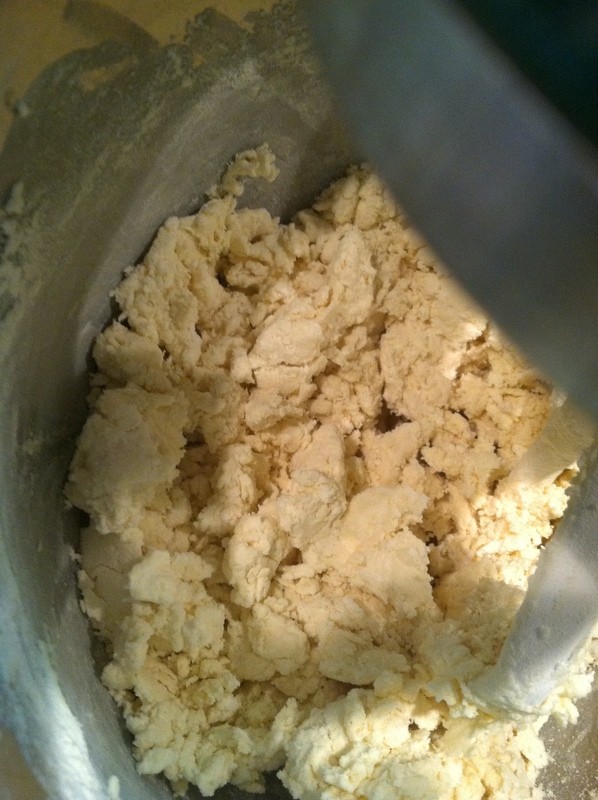 Over mixing will develop the gluten in the flour and give you a ‘tough cookie’ rather than a tender one. Transfer the dough to a non-stick 9 x 12 cake pan. 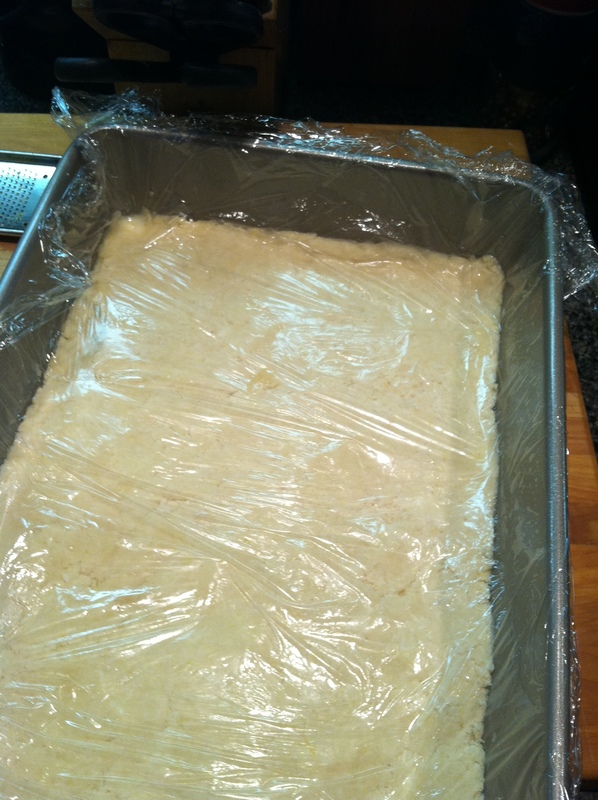 Cover with plastic wrap and pat the dough evenly into the pan. Place in the refrigerator or freezer until the dough becomes thoroughly chilled. Traditionally, you can prick the shortbread with a fork for decoration. You can choose not to. If, for some reason, you get a wild hair on and decide to add baking powder to the mix, I would strongly suggest you do prick the dough to prevent bubbles and warping. Preheat the oven to 300°F. Clean up the kitchen. Once the dough is chilled, place it in the oven and bake for 35 minutes or until the edges are just beginning to turn golden brown. The shortbread will remain pale. Cut the shortbread while still warm. You get a cleaner cut edge. 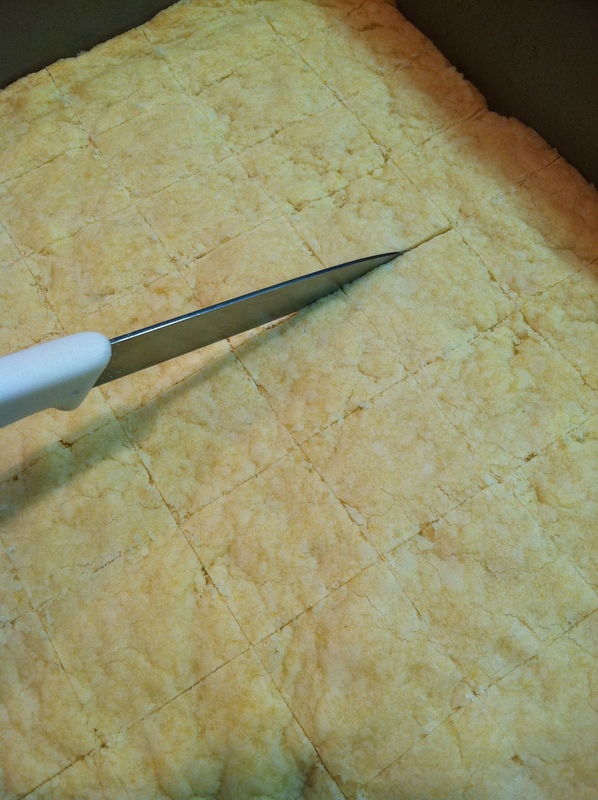 Once cooled; remove the cut shortbread and put them on a rack which is placed over a clean sheet pan. Make the glaze just before you are going to pour it over the cookies. Be sure the cookies are completely cool so the glaze does not run or melt off. Randomly pour the glaze. You can do it randomly or evenly, which ever you prefer. DO NOT spread the glaze as the cookies are crumbly and you will not have a smooth glaze. If you make a lot of glaze you can cover them and decorate them like petit fours. I like to sprinkle a fine touch of finely ground fleur de sel on the top of the shortbread cookies. Sweet, tart, salty, smooth. . .
Sift the sugar to ensure no lumps. Add the zest, stir it in and then add the juice. Mix until smooth with a fork. Whisking will add too many bubbles. Pour over cooled shortbread cookies. Allow glaze to dry about an hour longer before storing. Cream butter and sugar. Don't forget to scrape down the bowl sides. Cover with plastic, pat evenly into pan. Chill. Cut while still warm for a clean edge. This entry was posted in Recipes, What every good cook should know and tagged Butter, cookies, food, Lemon, recipes, Shortbread, Sugar, Zest (ingredient). Bookmark the permalink. Looks great! Will definitely try this refreshing version of the shortbread. I’ve made shortbread dipped in chocolate but that was too rich. Time to do something more healthy. The citrus flavors are so lovely! I could almost see shortbread take on a macaroon like status. Well. maybe. never tasted this and was not really interested until I read your post. now with your description you really got me on this. will gladly give it a try. nice tutorial and pretty pictures. how’s going with the light? I still use natural when I can, but there is so little here. I hope you do try them. Based upon your description of ricotta spaghetti, I think you will enjoy the flavor and texture. Please let me know if you try them and how you like them! About lighting, I am having to make some adjustments due to the lack of natural light too. I have yet to find the perfect set up. I am glad the ‘film’ is digital since so many shots are wasted for one reason or another. still forced to take pictures only in the morning with the little natural light we have. I wonder if I could get a magic artificial lamp that would enable me to take great pics even at night (win the little one is sleeping!). You can look into getting a couple of “Lowell Digital Ego Lights” from http://www.Amazon.com. I don’t know if you have access to them where you are. They are great and not too pricy compared to other photo equipment. You could take great pics in a cave with these (as long as you had electricity). I tried one at first but quickly realized two was really what was needed. Hopefully the link to the lights will work so you can check them out. Thanks Lisa! I linked up the shortbread. What a great party you have going on. Thanks for the invitation! Found these on the Sweets for Saturday linky party…they look wonderful!!! Thanks for dropping by! I hope you try making them and please let me know what you think. These look great. Found them on the Sweet and Sugar link party. I LOVE anything lemon. Will be trying these soon! I love lemon too. Lemons are always in the kitchen and are so versatile. You can use them in sweets, salads, savory dishes as well as your drinks. Thanks for stopping by, hope you look around a bit. Thank you . . . are you the cookie monster?! I LOVE cookies and making them too. Thanks for finding my blog so I could find yours. Yippie! Thanks for commenting too. I’m heading over to your blog now. There’s soft butter in the kitchen.